Following the lodging of an appeal to the Planning Commission's approval in April 2017, a revision to the Conditions of Approval have been negotiated between the Caves and the appealing neighbor. Those changes in the COA are scheduled for discussion and BOS approval at the 2/27/18 BOS meeting.See Item 9D here. Within days of the April 2017 Commission's recognition and allowance of illegal construction and approval of additional capacity and visitation use of the ridge, the Caves at Soda Canyon was put up for sale at $12,500,000. It has now been removed from all listings. An appeal has been filed to the Planning Commission decision and the Supervisors will hear the appeal now tentatively scheduled for Jan 23rd, 2018. The property was damaged in the Oct 2017 fire, though the wine inventory survived in the caves. Their experience is described here. In a 3-1 Commission vote The Caves at Soda Canyon will be allowed to expand its production from 30 to 60,000 gal/yr, continue to operate under generator power, build a cover over its crush pad and host marketing events on the ridgeline and the bootlegged patio. Napa Custom Crush has just applied for a major modification to their use permit to allow an increase from 30,000 to 60,000 gal/yr plus awning over the crush pad. Chutzpah? Perhaps they feel the new determination of the supervisors to approve everything is now in their favor. Time will tell. The bootleggers of Soda Canyon really know how to thumb their noses at the neighborhood. Twice as many trucks on the road and on that steep, steep driveway to their vineless rocky perch. Another noisy generator perhaps? The one year probation on their illegal 4th portal is up next month. The Caves was penalized by the Planning Commission by having to board up their illegal 4th portal until this time next year when the may re-apply for another "recognize and allow" permit (perhaps with the hope that enforcement issues will not be such a hot topic by then). Enforcement of violated use-permit conditions at wineries is bound to be a significant topic of discussion at Planning Commission meetings this year. This letter to the Commission and the Supervisors from Beckstoffer Vineyards has set the stage. email regarding developer's intent from the Caves former neighbor. Napa Custom Crush aka The Caves of Soda Canyon has requested a very minor modification from the county to recognize and allow an unpermitted portal to their caves. The additional portal was dug straight through the ridge to access an also-unpermitted terrace overlooking the Napa Valley. The county is accepting letters of opposition or support through March. Contact planner Suzie Gambill at the County. The first of the tourism-oriented wineries to be built on the road is the Caves at Soda Canyon at 2275 Soda Canyon Road. The name of the parent company is Napa Custom Crush. 30,000 gallon per year winery with, �16,000 square feet of caves to be used for all winery operations, on-site parking for six vehicles, three full-time employees and one part-time employees, 4000 visitors / yr , three 15,000-gallon water storage tanks. The project is located on a 41.35-acre parcel, up a steep and winding drive approximately four miles north of its intersection with Soda Canyon Road and Silverado Trail. The project operates as a custom crush and retail facility for 4 member wine labels. 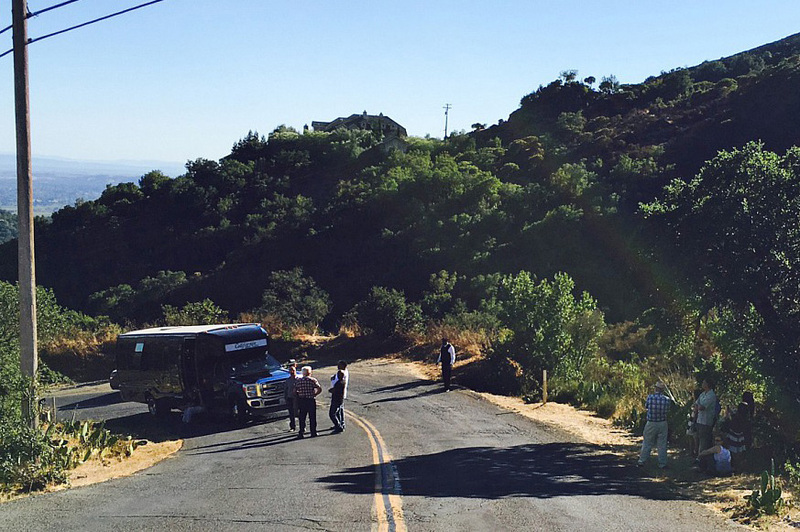 It is on a remote property without vines or residence, up a steep driveway unsuited for trucks. It was built here, no doubt, solely for the tourism experience of the views and the sense of remoteness it affords. The project was already completed before the increasing concern generated by the Mountain Peak project in 2014. Had the developer just kept a low profile and tried to blend in, all may have gone well. But one of the first posts on this website in 2014 related to the Caves request for another ABC license for one of its 5 member vintners. One resident of the road, already concerned about the building of this project and the more recent approval of the Relic project, protested the license. Perhaps 20 residents jammed into a small hearing room to support the protest. It was the first action in the awakening of the Soda Canyon community to the threat of a new era of commercial retail projects on the road heralded by Mountain Peak. The owner of the project did not ingratiate himself to the neighborhood from the start. An unresolved power supply meant years of a noisy generator on the site. And then, as concern mounted throughout the county about lax use permit enforcement at wineries, the County found that he had built a tunnel through the ridge ending in an un-permitted portal and patio overlooking the Valley. It has meant an ongoing antagonistic relationship with the road community since, now being stirred up again with the request for a doubling of capacity at the facility. NVR 8/30/17: Can a Napa winery run on a generator, not PG&E, forever? It has been a bit over two weeks since The Caves at Soda Canyon was granted a permit modification for an additional 30,000 gal/yr, the use of its bootlegged portal and terrace, exceptions to allow its perilous driveway, allowed use of the ridgeline for entertaining, and the continued operation of a diesel generator to power the entire operation. The winery with its new expanded use-permit was immediately put up for sale. How much did the approval by the planning commissioners add to the $12,500,000 asking price? How profitable is the forgiveness-not-permission attitude on the part of the county? This project has been a blemish on the county process at each stage: a winery approved on a totally inappropriate site, substantial aggravation of neighbors subjected to generator power, bootlegged construction, forgiveness of transgressions coupled with expanded production and marketing areas. And now sale of the property before the ink is dry on the expanded use permit. It will be interesting to see what impact the proposed sale will have on the appeal hearing for the project - and what impact the impending appeal will have on the sale. No doubt real estate agents will point out that the Supervisors never approve citizen's appeals. In a 3-1 Commission vote (with some drama over Comm. Scott's temporary indecision about his vote), The Caves at Soda Canyon will be allowed to expand its production from 30 to 60,000 gal/yr, continue to operate under generator power, build a cover over its crush pad and host marketing events on the ridgeline and the bootlegged patio. In the director's report before the hearing, Dir. Morrison indicated that more winery projects (15) have been approved this year than in the whole of 2016. Add one more. The development boom continues. Napa Custom Crush, aka The Caves at Soda Canyon, is requesting a Major Modification to its 2006 use permit to increase allowed processing capacity from 30,000 to 60,000 gallons/year. The request also includes the installation of a previous approved wastewater treatment system to handle the increased water usage and a permanent canopy over the chushpad, in addition to the "recognize-and-allow" approval of the bootlegged patio and cave portal, and an exception to the county's road and street standards for the perilous driveway. An Addendum has been added to the original 2006 Mitigated Neg Dec that discusses the impacts of the modifications. The project goes up before the Planning Commission on Apr 19th, 2017. This project should never have been built in this location. It is an agricultural processing facility on a remote piece of property with no agriculture, no power source, up a steep driveway unsuited to the movement of trucks or busses. It was placed in this location solely to provide a view for tourism activities. The winery predates the 2010 WDO guidance that asks you to consider the "remoteness of location" and "access constraints" in reviewing use permit proposals. Possibly this project spurred the need for such guidence. Hopefully the requested expansion will be viewed in light of it. This application seeks road exceptions for a driveway too narrow and curvy to meet county standards. It has grades up to 17%. Trucks get stuck on it now, as they will even with improvements. Buses bringing people to its large marketing events will suffer the same fate. The Soda Canyon grade up to the Rector plateau is only 11% - yet we can show examples of buses and trucks becoming stuck there now. The location is a feat to see! The wines were good and the view of the surrounding landscape was magnificent. Public service announcement: don't drink and drive; there's a higher likelihood you will meet a fiery death, Wile E. Coyote style, after driving off a steep embankment on the windy road that leads to this venue. The member families of Napa Custom Crush LLC currently have more grapes produced at their properties and contracts on other parcels on Soda Canyon Road than can be processed at the winery under the current 30,000 gallon capacity. The concept seems to be that as the members continue to expand their supply, (or potentially as the number of members continue to expand) the capacity of this remote winery, difficult to access, without power, will continue to expand to accommodate them. This was not a proper location for a winery in the first place, and it is not a proper location for a wine factory serving the needs of vineyards throughout the county now. If the members are successful will there be a future request for expansion of the facility using the same rational. What are the limits? If Napa Custom Crush wishes to expand its custom crush operations, now is is time to move to an industrial location more appropriate to continued expansion. A majority of the residents on Soda Canyon Road have already petitioned the county to protect their community from expanding commercial development on the road. Each new building project and expansion increases the threat to the "agricultural lands and the rural character we treasure" envisioned in the General Plan and diminishes the remote, rural quality of life that is our reason to be here. And each approval will also increase the discontent toward a county government always willing to sacrifice the concerns of residents to the desires of entrepreneurs. That discontent has led to resident pushback throughout the county these last two years. Lacking a rebalance of interests, the discontent will continue. This winery is obviously here to stay. I will probably be condemned by some for a forgivness-not-permission and whatever-exceptions-it-takes approach to land use planning, but there are things in this application that will make the project better and safer with few impacts. Permit the road improvements. Permit the wastewater system. Permit the awning. And only after a clean and silent power supply is in place and the generator is gone - permit the bootlegged portal and patio. But don't permit the expanded capacity. In that metric you have wide discretion and you should use it. Make clear that this winery, on this very inappropriate site, should live within the capacity and visitation conditions of its original use permit, in perpetuity, or be moved elsewhere. Update 4/17/17: I have received an email from a neighbor of the project indicating that the issue of the diesel generator noise and pollution has not been addressed (the county indicated in the staff report that this issue was resolved with sound attenuation blankets and that "Staff has not received any noise complaints since the case was resolved. "), and that the operation and expansion of any building project with such an environmentally unfriendly power supply should be the main issue discussed by the Planning Commission. I would tend to agree. I would like to bring to your attention the recent actions from our County Planning Commission regarding winery use permit violations. I feel compelled to speak to you today because these Commissioners are seated at your discretion, and it's apparent that they are slow to react to the change in attitude in and outside this County building. I believe the change began after the 2014 election cycle, after Mr. Pedroza took over for Bill Dodd, and most importantly, when we were fortunate enough to hire Mr. Morrison. I have learned that Planning Director Morrison is level-headed, hard-working, smart and is pursuing a balanced approach. He also knows that he works with, and FOR the Supervisors. Its no coincidence then that a broad coalition of interested citizens have joined in the call for change. I would like to highlight an example: Brought to the PC last week was the Caves on Soda Canyon project where it was apparent to all that the principle had gone WAY outside his use permit and violated his building permit. Mr. Lederer and Commissioner Scott talked directly with the principle. Their memory of the initial project was quite different than the finished product. Mr. McDowell spoke of numerous infractions during the meeting. The County had him caught �red-handed� in this illegal action. As you all know, a ventilation shaft had been turned into a 4th portal offering a view over the valley to the west. Then a large concrete party/viewing patio was poured, without a permit. I wish you had all been there. The individual was asked to �cover up� the portal, leave the deck as is, and reapply for proper permits in a year. The principle�s actions were egregious, purposeful, and he was rewarded with a slap on the wrist. The clear perception we are left with is that he�ll get this permitted next year. In recent weeks the Planning Commission has exercised extremely soft treatment to violators. I do not believe this is the message that this County wants to send. On several occasions the Planning Commissioners have alluded to the need to wait for your direction after the APAC finishes and our Planning Director moves his recommendations forward. I would like to recommend that all of you have a dialogue with your respective Planning Commissioners about the new norm that will encourage us all to take care of the finite resources within our County. The Caves: a scam from day one? Way before the plans were approved and construction began on the Caves at Soda Canyon, my wife and I were invited to review the proposed project because we, at the time, were owners of two parcels adjacent to the Caves project. The then partners, Ryan Waugh and Gary Houck, invited us to Mr. Houck�s home at Silverado Country Club for a presentation of the project and to review the drawings and plans. In that meeting it was very clear that they had intentions of having a valley facing portal even though the plans did not include this. It was a �wink and nod� admission that they were going to submit one set of plans for approval and then dig the additional portal after the fact. After the project was completed and opened for business, it was powered by large and loud generators which upset us and the surrounding neighbors. Mr. Waugh, once again, gave little regard for the rules and regulations . . . and neighbors. The fact is, Mr. Waugh (and Mr. Houck) specifically told us that power would be brought to the site underground. We found it odd that the road was constructed without trenching for the underground power. Once again, they presented one plan to appease us and executed another. As you read the comments prompted by the Register�s article, I hope you will listen to the people and correct this wrong-doing. We have since sold both of our parcels so the Caves at Soda Canyon do not directly affect us. We are writing to ask you to deny the Use Permit Minor Modification P14-00288. Given all the information that has been gathered from witnesses, neighbors and even a written article from 4/17/14 in �Wine Country This Week�, it appears that the applicant had every intention of developing a cave portal and deck from the very beginning without the necessary plans and permits. The applicant stated that �Napa County fire officials wanted another cave entrance and exit for safety reasons� (Napa Register 4/3/15), but the Fire Dept said �these improvements were not necessary to in order to comply with Fire Dept standards� (NCPC Board Agenda Letter for 5/6/15 meeting). It seems that someone is being untruthful as to the needed safety issue. How did a ventilation shaft turn into a portal with a concrete apron and added outdoor tasting area? It would appear that the builders need a remedial class on how to read blueprints. The applicant stated that tastings/visitations ceased in May 2014, but evidence points to tastings having continued unabated in the unauthorized areas through at least December 2014, and possibly longer. Was there any punishment for such flagrant transgressions? Apparently not, which conforms to the findings of a random audit that revealed almost half of all Napa wineries did not comply with their use permit in 2013. There appears to be an unofficial rule of �It is easier to beg forgiveness than to ask permission� when it comes to winery/vineyard development. And it does appear to be true when the Planning Department and Commission try to legalize permit violations whenever they become an issue. This is one of those flagrant violations that a Commissioner was willing to approve, and he stated that �It�s not impacting anybody and it�s essential to their business model at this present time.� If it was so essential, why didn�t the applicant apply for it in the original plans? Besides denying this modification permit, we believe that the portal and 700 square foot tasting area should be removed. It was never in the use permit plans, therefore, this will return the winery back to it�s original proposal. Please do not reward the applicants for ignoring the planning process. The applicant should be punished where they will feel it the most�in their pocketbook. We also respectfully ask that you forward our email to all the Planning Commissioners. The agenda for the May 6th PC meeting is out and they have recommended denial of the use permit modification to allow a bootlegged portal and terrace overlooking the Napa Valley and of one unpermitted ridge-line terrace. The portal must be blocked except for an air shaft. They can re-apply to open the portal in a year. The agenda letter is here. The illegal digging of a portal in the caves of Waugh Cellars on Soda Canyon illustrates the past, but hopefully not the future, lack of enforcement by the Napa County Planning Commission. Rules and regulations are meaningless unless they are enforced. The "do as you wish" attitude is pervasive within the permitting process by those who flaunt the rules realizing that a "slap on the wrist" fine is a welcome payment for circumventing the guidelines, this must end. Lack of enforcement has encouraged this behavior. Financial penalties and self regulation have proven to be ineffective. The planning commission has the opportunity to redeem past actions by issuing a cease and desist order for all visitation to the Waugh Cellars, sealing of the illegal portal, restoration of the original environment and to pay a substantial monetary fine, thereby sending a signal to all future applicants that the Commission no longer will tolerate permit abuse. Protect Rural Napa requests that you not recognize and not allow the unpermitted construction done on the Napa Custom Crush site on Soda Canyon Road. We also ask you to deny the request for wine consumption on the unpermitted terraces. While public concern over variances and exceptions has become a regular issue in the planning commission hearings, granting approval for construction after the fact rather than through the normal permitting process sets an even worse precedent. Developers will take from this approval that it is better to seek forgiveness for zoning violations than to seek permission. We would be interested to know why the portal and its terraces were not a part of the original plans. The cave extension leading to the portal was always a part of the project, and was obviously made for just this purpose - so why wasn't the actual portal and the terraces and paths leading to it a part of the original project? Could it be that including these additions in the original plans would have triggered concerns with the viewshed ordinance? The new terraces (much larger than the 100sf indicated on the plan) are right on the ridge and any structure or activities with their noise and light impacts will probably be visible from the Trail. The portal and its terraces are on a steep slope which also might have triggered the viewshed ordinance. Anything happening on this particular ridge, perhaps the most picturesque and iconic of all the ridges in the Napa Valley, should have been a subject of great concern for the planning department and the commission when the project was originally submitted, just as it should be now. At the very least this project should be returned to the planning department and commission for review in light of the new conditions relating and their impacts. Beyond the illegal construction, the potential new impacts, and the noise emitted by its generator, this winery has another negative significance for the residents of Soda Canyon Road. It represents one of two event centers granted permission, during a period of heightened accommodation to winery development, to use our neighborhood, on a dead-end road, up a steep driveway, solely to attract tourists to our remote locale. For us, it merely represents an increase in traffic and the commercialization, proclaimed probably by a lighted sign at the driveway, of our residential-agricultural community. Perhaps the county has now begun to sense how intrusive these tourism operations are to our communities by considering their own feelings toward the possibility of casinos coming into the county. The visceral sense of a paradise being violated is the same. The sensitivity of residents to non-agricultural uses (using the normal definition of agriculture) in their neighborhoods has become a flashpoint throughout the county, and we hope that it will be given much greater importance in the upcoming discussions around the WDO. In the meantime, the denial of this request might send a significant signal that the county is capable, when willful violations are committed, to enforce to its regulations. This winery was built, we suspect, solely for the view from that 4th portal and those terraces. To risk their denial at the outset of the process was to risk being denied the reason to be there in the first place. Better to build and ask for forgiveness. We hope that such a strategy is not going to be rewarded here. I am not a resident of Soda Canyon Road, but I write to express my overwhelming dismay that the Planning Department could recommend retroactive approval of a plan by an owner who flagrantly ignored County regulations and who has operated outside the parameters of an existing use permit. This applicant should be forced to undo all the unpermitted work as well as to restore the natural environment that was destroyed in the process of operating without proper permits. How can Napa County residents possibly believe that our local government is dedicated to the Mission, a Statement of Vision and Core Values as stated on the County website? Please read what I have copied below and then act in concert with those statements by denying this modification and by REDUCING visitation privileges as a consequence for such unlawful behavior that is so disrespectful of the surrounding neighborhood. Caves "itty bitty permit variance"
I am exasperated by the fact that the Caves developed beyond the scope of their permit while shunning their obligations to complete the project that was permitted. While the residents of Soda Canyon continue to listen to the drone of the Caves generator and gaze at the eyesore of an exposed winery storage space on a raw, excavated hillside they are seeking retroactive approval for construction that was not allowed. That this approval is even being considered rather than first insisting that they clean up their operation makes no sense at all. 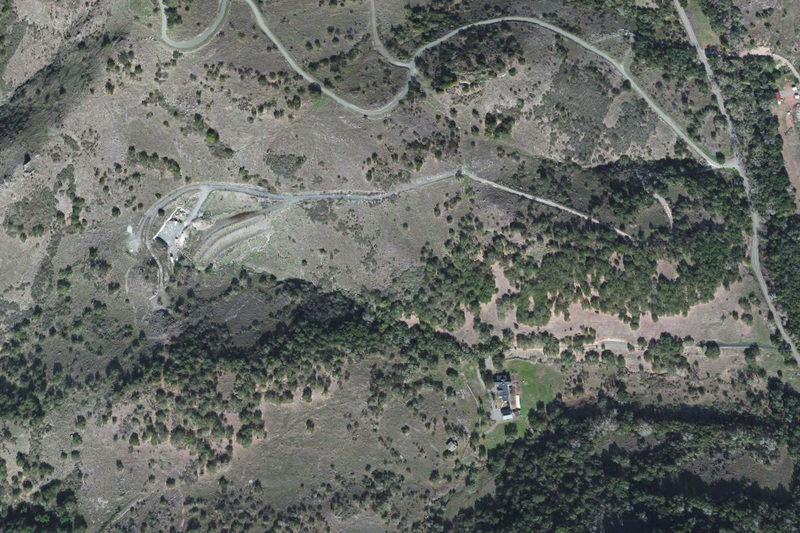 I would hope the county would insist that the Caves resolve the problem with the easement needed to connect to quiet PGE electricity and then immediately make the connection, complete the installation of vegetation to conceal the rubble of their various racks, bins, vehicles and lights from the residents of Soda Canyon, remove the ridge top �observation deck�, and close/eliminate the western portal of the permit-violating cave they are attempting to retroactively permit. If they do not comply with all of these, shut them down! I am still amazed they were granted an operating permit with so many flagrant loose ends. Theirs is an absurd project and they've been manipulating the county and ignoring the neighborhood for too long. Please reconsider your position on this and understand that the economic benefits of this awkward project are far outweighed by the needs for the aesthetic and cultural survival of rural Napa County and the comfort and security of its residents. I am writing to protest the granting of an approval to recognize and allow construction done illegally on the Napa Custom Crush site on Soda Canyon Road. I would like to suggest that there is nothing very minor about illegally drilling a hole from one side of a ridge to the other especially given the fact that the ridge now graced by the portal is protected under the viewshed ordinance and is perhaps the most iconic piece of rugged ridge line in the Napa Valley (now unfortunately scarred by several home sites). And the fact that the bootlegging was done solely to enhance the tourist experience makes this modification, given the sensitivity that we now feel toward tourism encroachment into our communities, as minor as a lightning bolt. Unfortunately this project should not have been permitted in the first place. It is a site completely unsuited for winery operations, far up a rural dead end road, far up a steep and winding access driveway on a property too rocky to support vines. It was strictly built to provide a tourist venue in a remote part of the county. The negative impacts of tourism encroachment into areas that are solely residential and agricultural are substantial and have not been given adequate environmental review by the county. The fact also that this project has been a noise problem to its neighbors for the last year as it continues to run its operations with a generator only adds to the animosity felt by the community toward a government that too often appears to coddle the tourism industry at the expense of residents. This applicant has not been honest with the county, has not been a good neighbor and should not be rewarded for misdeeds with the granting of this modification. The modification calls into the question not only the actions of the applicant but of a contractor willing to commit a breach of his permit and of the engineer that must have reviewed it. I would hope that the county requires the project to be returned to the condition as approved in 2006 plus further restrictions in the marketing plan to compensate for the illegal construction. And I would also hope that the county places sanctions on the contractor and engineers that were complicit in the violation. The denial of this request and the sanctions are needed to serve as an example that it should not be easier to ask for forgiveness than to ask for permission from the government of Napa County. I am writing on behalf of myself and my family to oppose approval of The Caves at Soda Canyon / Napa Custom Crush (�The Caves�) Very Minor Modification Permit Application #P14-00288 which requests permission for an already built 4th portal to their caves at 2275 Soda Canyon Road. This construction which The Caves is now requesting a permit for was, in fact, completed years ago. The 4th portal was not in the original permit application or shown on their plans submitted with that application. The cave was drilled all the way through the side of the ridge without a permit, and its only purpose is to provide a sweeping view for tourists. In addition to the environmental and viewshed impacts of this construction, which I find objectionable on their own merits, retroactively permitting construction projects that would likely have been denied at the initial time of permitting sends an absolutely backwards message to land owners and contractors; that, if you have enough money to build, you can go ahead and do whatever you like and � instead of being fined and/or forced to reverse or mitigate for unpermitted construction � one can simply push a permit through Napa County�s channels at a later date. This makes a mockery of the permit process and is not an acceptable practice for County employees charged with stewarding the Valley on the public�s behalf. The Caves should be fined for their flagrant disregard of Napa County�s regulations and required to perform appropriate mitigation for the disruption they have caused to the environment, including visual and material degradation of the site. Anything less indicates to other would-be developers that �anything goes� and the Valley can be trampled regardless of well-intentioned and hard-fought public policies. It also sends the public the message that the policies enacted directly by voters and through the representative process are meaningless in practice. This is sure to create ill-will and tension between neighbors; exactly the kind of problem that governments are supposed to prevent. For the reasons stated above, the right course of action is to protect Napa�s environment and hold the applicant to their original approved permit. Protest letters may still be sent through March. Residents in rural Napa aren't hermits, but we do appreciate the solitude and quiet that characterizes our home. It's what we do up here. You might think it's quaint or old-fashioned to want to live in peaceful communion on a small farm or with Nature. Yet, increasingly, we're awakening to incompatible unnatural noise, visual blights, and the smell of something rotten back at county headquarters. We're hurting. Of course this is unacceptable. I'd like to ask for your help. We are real people in a real place. Yet my neighbors and I feel increasingly threatened by the tourism industry and you, our permitting agency which enables the industry as it seeks to further expand up into our sleepy neighborhoods. Please try to understand: we are real people, we call Napa home, we live here in our quiet neighborhoods which are becoming sacrifice zones for the tourism industry. Your approving this egregious "very minor modification" isn't helpful. It's a deceitful violation of the intent of CEQA and the Napa Viewshed Protection ordinance. It's also a violation of trust with the residents of rural Napa. Who will you serve? It seems as if there's no project and no variance you can say no to. If that's the case, make this the first YES for the people. I urge you to deny this gross request for a use permit modification and to return the site to the the condition permitted for. And give your Napa neighbors a little peace of mind. Bootleggers! The Caves pulls a fast one. I've attached the notice which I received on Tuesday, and also the plans, which were not attached to the notice. David went down to the Planning Dept yesterday and got the plans and today the planner also emailed them to me. Napa Custom Crush is The Caves of Soda Canyon. I'm not sure of the date that they were issued an occupancy permit but it has been several years. They are still operating with only a generator. Presumably a really big one. The 4th portal that they are asking the Planning Dept. to now, "recognize and allow" was built years ago. It's only purpose is to give them a spectacular view for their wine tastings. Apparently it wasn't in their original permit application or shown on their plans submitted with that application. Their contractor (same one Relic used) drilled this cave all the way through the side of the ridge without a permit. As David said, they planner was originally going to approve this application. She has now extended the period for written comments through all of March. She's also offered a meeting with herself and David Morrison to discuss concerns. Thank you for your email. The winery has taken every step I have asked them to take. They have installed the sound mitigation measures which reduced the noise level to under 40 dBls (which is the limit in the Napa County Code). They are following my request for screening in accordance with the use permit conditions. As soon as I asked them to move the exterior lights, they turned them downward as required in the use permit. I understand your concerns about noise. There is only so much County Code can enforce. We are at that limit now. At this point I can tell you that they have responded to every email and phone call I have made to them. They have responded accordingly to every direction I have given them. The wineries in Napa County operate somewhat like an agricultural processing center and during crush we all know there is going to be additional noise, light and traffic. The winery applied for and they were granted a building permit to install their PG&E. I have heard that PG&E has been given a copy of the easement from the neighbor which puts limitation on this installation and that the service line is now on hold, or maybe impossible. There is no county code that requires them to install the PG&E and as long as the easement holds them hostage, they will continue to use the generator. I wrote her back that it seemed an error that the county would issue a permit without a valid easement in place. Look forward to anything you or others have been up to on this. 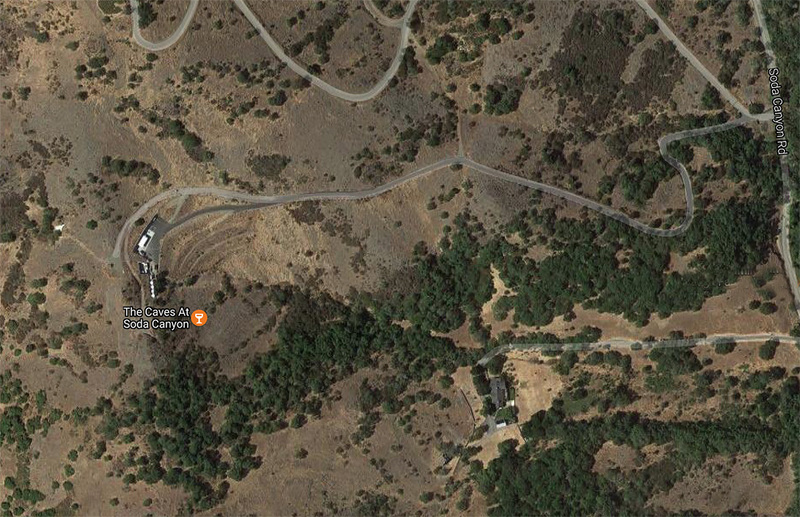 A meeting regarding the Generator noise emanating from the Caves at Soda Canyon was held at 2pm, Sunday April 27, 2014 at the Arger residence at 3030 Soda Canyon Road. � The original owner of the Caves at Soda Canyon apparently gave the original lessors a 99 year lease, the caves were bored and the original lessors apparently ran out of money. � Owner apparently tried to sell the property but there was much litigation and the property never sold. � The current operator is �Napa Custom Crush LLC� (Ryan & Crystal Waugh) dba �The Caves at Soda Canyon�. � There are currently four partners, Waugh Family Wines LLC, Lobo (Wolf), Buoncristiani and Patland that share the facility and equipment to produce their wines (up to 30,000 in aggregate) under the ABC licenses of Napa Custom Crush LLC. � One attendee indicated he believes it is possible the operating business may not make economic sense. The project has the outward appearance of being potentially under-capitalized. � Some contractors who worked on the project may have been asked if they wanted to settle up with an investment in the company rather than being paid in cash for the work they completed. � The estimated costs to run a generator full time is believed to be many times more expensive than purchasing commercial electricity from PG&E. � The electrical service must be run underground and given the distance involved as well as the rocky terrain, this is believed to cost on the order of $250K to $500K. This may be a reason why Napa Custom Crush LLC has not undertaken the work yet. � It is believed the planning department apparently made a mistake by granting final sign off on the construction of The Caves and issued a certificate of occupancy without permanent commercial power in place, so the final sign off on the project with a generator as the primary power source was an apparent �mistake� by the County Planning department. The County may be disinclined to reverse the mistake as that could reflect negatively on them and cause the operators to object to any such reversal, even if it was originally a mistake by the county. � The Stulls were told that in August, 2013 the winery would be running the electrical service to the winery soon, but that has yet to actually materialize. � Is there a way to compel the county to enforce their use permit (which does not contemplate the long-term use of a generator)? � The Stull�s have recently filed a formal complaint, attached to this email, to the County Planning Department. � Claire Stull emphasized that the more affected neighbors that take up writing letters to the county planning department and the supervisors, the better the chance that the county will compel the Caves to fix this unusual problem. � Someone made the point that the County doesn�t want to generate lawsuits. Neighbors should write letters to our supervisor, the honorable Bill Dodd, explaining this noise nuisance in detail and request the County require the Caves at Soda Canyon to obtain permanent commercial power from PG&E without further delay. � Glenn suggested checking to see if the Bay Area Air Quality Management District BAAQMD to confirm that the large stationary generator is permitted by that regulatory agency. � Tony indicated that the new Director of Planning appears to be becoming aware that compliance with County codes and ordinances is an area that may need some attention within the County department he oversees. � There was discussion in regard to a general sense of opposition to the Mountain Peak Vineyard project, but those conversations were not part of the purpose of this meeting. � The group concluded the meeting with general sense of agreement that we will continue to work together on all fronts to preserve and protect Soda Canyon/Loma Vista from poor planning decisions and over-the-top development projects that are not in keeping with the spirit and the intent of County regulations and ordinances designed to preserve the agrarian nature of Napa County. The Meeting was adjourned at approximately 3:15pm in time for neighbors to make it down to the Fire Station for the FireWise Meeting and BBQ lunch. The Minute/Note Takes recommends a follow up meeting at the next appropriate juncture when new relevant information is available on this important issue. Respectfully submitted. Our home is located at 2291 Soda Canyon Road and is adjacent to the Caves at Soda Canyon winery located at 2275 Soda Canyon Road. Please accept this letter as a formal complaint regarding the winery�s use of a portable generator as its sole power source. We started hearing the winery�s generator around August 2013. At that time, we contacted Michael Freeman, CFO of Waugh Winery regarding the generator noise. Mr. Freeman seemed apologetic and asked for our patience until the winery completed the 2013 harvest. After that time he indicated that the generator would only be on during business hours. He indicated that they were working with PG&E and that electricity would be installed by the end of the year. Because we live in an agricultural community and we appreciate that construction comes with a certain amount of noise, we did not contact Napa County at that time. However, the generator use has continued far past the 2013 harvest, and we are concerned that there may not be a viable plan to connect to PG&E within a reasonable timeframe. In my most recent conversation with Mr. Freeman he assured us that everything had been worked out with PG&E and that electricity would be installed within the next six months. We owned our home when the winery was first permitted, and we received notice of our neighbor�s planned winery. However, running the winery with an outdoor generator was not part of that proposal. The generator is quite loud and has been run day and night. This is a burden on us and other neighbors, and we do not feel it is appropriate (or consistent with County regulations) for the winery to continue using the generator for an unlimited period of time. It was our understanding Mr. Waugh must get power from PG&E as a condition of approval to operate their winery. In the near term, we ask that the County require screening and muffling of the winery�s generator to reduce the noise. Our counsel advises us that the County has the authority impose this requirement under the winery�s conditions of approval regarding outdoor winery equipment, which must be muffled to avoid impacting neighbors. Also, we ask that the generator only be allowed to run during the normal business hours (9-5). To address the operation of the winery over the long term, we ask that Napa County work with the winery to establish a defined timeframe for connection to PG&E through the underground utilities proposed in the winery�s permit. We believe it�s in everyone�s interest to set a defined timeline now. Since they have assured us that this will be completed within six months it would seem like they would have no problem agreeing to an October 15th date. Knowing when the winery is expected to connect to PG&E will give neighbors comfort that the situation will be resolved and allows Napa County to set forth its expectations for the winery. Please feel free to contact us should you need any additional information. Thank you for your assistance in this matter. My name is Ruth Walz. My family and I moved to Soda Canyon Road more than 30 years ago. It was a bucolic place with no traffic, no wine tasting and very, very quiet. Maybe there was a car every two hours. There was a wonderful Christmas tree farm across the street. For three weeks of the year there would be traffic in and out as families chopped down their own trees in preparation for the holidays. Then about 10-12 years ago, very large parcels up the road from us were broken up. From what we understand, two and three thousand acre units were broken into one hundred acre parcels. Grapes were planted and much discussion evolved over whether the terroir was good, bad or indifferent. Not to worry, it�s just grapes not wineries. We began to see the beginning of changes to our road. If you haven�t been on Soda Canyon know that it is five or six miles long running from north to south. It is quite curvy for 5 miles and then the last mile, which goes right by my house, straightens out and drivers think they can now pick up speed. There is an entrance on Silverado Trail where the Soda Canyon Deli is located and then no exit at the other end. Were there to be a fire, the only way in and out is at the corner with Silverado Trail. Soda Canyon Road along with Atlas Peak had the �big fire�, about one thousand acres, approximately thirty years ago. Since then, there have been fires regularly on our road, at least one or two a year. They usually start with a substantial wind that knocks down power lines that set off a spark that starts a fire. One has only to go outside to smell the smoke and know that we�re in trouble. Given the increased traffic load on the street, I can�t imagine easily getting fire equipment in. Our water situation in California is dire and all of us on Soda Canyon are on wells. I am currently pulling from a sulfurous strata that frankly smells bad. Friends will turn on the water and say, �What is that smell?� Many of us wonder how much longer our wells will last. The traffic on our road has become abominable. During March it is only mildly dreadful. Come summer it is horrible. There are only shoulders in a few areas, so there is no way to easily pull over to let cars or(fire engines) go by. Cars regularly speed over the posted 45 mph limit. Because of the frustration of the very curviness in the first 5 miles, by the time cars get to my stretch (the straightaway) they take off at very fast speeds. I host a group of ladies, average age 80,once a month. They go home at 4:00. That�s also the time that our farm workers get off. Vehicles tear down the road with folks anxious to get home, and old ladies try and back out of my drive way. I either stand in the road and bellow when it is safe, or stand in the road and try and stop traffic so they can back out. My very comfortable old car has 200,000 miles on it. It doesn�t pick up speed very quickly. After I back out of my driveway, I slowly make my way toward Silverado Trail. I watch in my rear view mirror as cars and trucks and shuttles race from the north up to my car and decide whether to pass me on the double yellow line or wait impatiently until my speed increases. In my rear view mirror I see them with their teeth clenched and their hands tightly gripping their steering wheels probably wondering if I�m going to pull over so they can continue their race down the hill. My grandchildren live only 500 feet from my house, and yet I�m afraid to have their mother push them in a stroller over to my home for dinner. Too dangerous. My neighbor used to walk his dog to the store in the morning and buy a paper and a coffee. No more. Too dangerous. The increase in the amount of cars and truck and limos and shuttles and vineyard management trucks and landscapers and food purveyors and trucks carrying tractors is awful. I actually saw a house going up the hill last month. Last summer at the height of the season, my living room windows would rattle at the force of the larger trucks coming down the road. And, now we learn that there are more folks planning on opening wineries on our road. Not acceptable. One might just as well have a bar up the road. Mildly intoxicated folks racing down the hill to try and visit just one more winery before the day of wine tasting is over�not good.. I have no issues personally with the people who are opening wineries and trying to make a living. They want to have a life. But I too want to have a life. I had intended to live a rural life, not a shi chi life. I had hoped to move from my house to assisted living some day. Not from my house to a place in town so I could get away from the stress of what is happening on my road. Wineries belong on major arteries like Silverado and Highway 29, not on country roads that were never intended for that purpose. I am not so na�ve as to think that I can fight the wine industry in this county. We have just learned that another new winery is planned and they�re expecting approx. 320 guests a week. Assuming everyone is with a friend that�s another 160 cars a week plus. I understand there are currently just under 300 wineries in Napa. When is enough, enough? I am emailing to inform you of an upcoming Protest Hearing granted to our neighbors who live down the road (on the flat part) by the California Department of Alcohol Beverage Control (ABC). The protest is being made to oppose the issuance of an ABC license to applicants located at 2275 Soda Canyon (the location of The Caves at Soda Canyon). The applicants seek to obtain a winegrowers license, while our neighbors seek to prevent the issuance of the license on the grounds that granting the license will result in a significant increase in the traffic volume on Soda Canyon Road, an increase in the threat of fire, and a meaningful decrease in the quality of life not only for our neighbors who live nearby The Caves, and all neighbors that use the roadway, but also our neighbors down the road who have to deal with the noise and safety issues of a busy road way on a daily basis. The Notice of this Hearing is attached for your review. It is my understanding that some of you are already aware of the hearing and are planning to attend. Thank you for supporting this important cause. For those of you who may just be learning of these hearings, our neighbors in opposition to the permit would greatly appreciate it if you would consider attending the hearings this Thursday morning to show your support for our neighbors and their efforts to try to improve what has already become a dangerous traffic situation and their efforts to try to help mitigate the potential for fires. If you are not sure whether you support or oppose this license, please consider attending this hearing as it represents a unique opportunity to learn more about some of the key issues that we face as local residents of Soda Canyon Road/Loma Vista who are concerned about preserving this naturally majestic setting that we have come to love as well as our peaceful, private way of life. Hearing location: Napa County Administration Building, 1195 Third Street, Basement Level, Auditor�s Conference Room, Napa CA 94559. Please feel free to forward this email to your neighbors as you deem appropriate. Kindly forward me their email address if they would like to be added to our rapidly growing email contact list. Thank you very much for taking the time to read this email and thank you for considering this opportunity to oppose the issuance of the proposed permit.